Every year, physicians at Mercy Medical Center save hundreds of lives. Physicians help us stay healthy, and care for us through some of the most difficult, emotional times. Through Mercy Foundation, you can share your gratitude for your physician by making a donation in their honor. 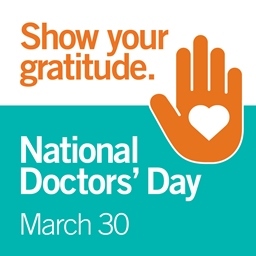 Thank you for your gift, and for taking time to recognize the doctors at Mercy Hospital who strive to provide our community with the very best care.